Motion/Emotion | Tangents | OK Listen! 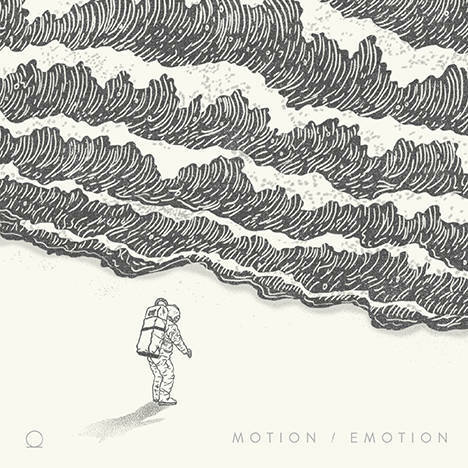 Motion/Emotion is Tangents' independent debut release. It's a body of musical work that took a year and six days in the making, twenty-three food platters a week, seventy-two supportive people, and a whole lot of love. We try to make you smile and we're barely serious. Show us what you think! Send us flowers and we'll send you a CD back. All music written and composed by Siddharth Nair, Daniel Ancheril, Abheet Anand, and Milind Yohann. Guitars, synth, sound design and additional drum arrangements by Yogeendra Hariprasad. Vocals produced and recorded by Yogeendra Hariprasad at Pineapple Express Productions. Produced, mixed and mastered by Yogeendra Hariprasad at Pineapple Express Productions. Album artwork by Sanjana Bhatt and Sachin Bhatt. Graphic design and art direction by Sanjana Bhatt. Tangents is a progressive metal outfit based out of Bangalore, India.